Since the introduction of the M-Class line, countless users have discovered the benefits of incorporating a sturdy, well-designed printer into mid-volume, high-performance printing applications. 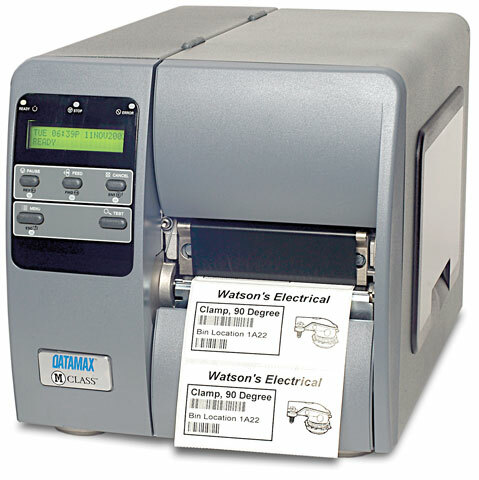 Users in the medical, manufacturing, government, retail and food processing sectors have embraced the M-Class, making it the most successful mid-range printer available on the thermal printer market today. The M-Class design is based on elements borrowed from the industry-leading Datamax I-Class printers, featuring a die-cast aluminum chassis to enhance durability and performance. The compact, modular design enables high-performance printing while allowing users to allocate less space to their printing capabilities. The M-Class features a robust option set including thermal transfer, internal rewind, cutter, and peel and present allowing compliance with the most demanding applications, and a value that goes far beyond what most users expect when budgeting for printer purchases. The Datamax-O'Neil K22-00-18000L00 is also known as DMX-M4208TPC	or K220018000L00	.